Annual Review of Cancer Biology has now been added to DiscoverEd. This e-journal is a new start for 2017 and will review a range of subjects in cancer research that represent important and emerging areas in the field. The Annual Review of Cancer Biology will be divided into three broad themes: Cancer Cell Biology, Tumorigenesis and Cancer Progression, and Translational Cancer Science. We subscribe to the Annual Reviews Sciences Collection – this provide access to 44 titles. A list can be viewed here. This entry was posted in New e-resources and tagged Annual Review of Cancer Biology, Annual Reviews, e-journal, eissn 2472-3428 on March 9, 2017 by eresources. A full list of the e-journals available via our Karger deal can be viewed here. 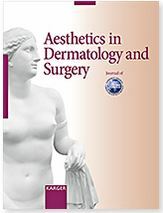 This entry was posted in New e-resources and tagged Aesthetics in Dermatology and Surgery, DOI: 10.1159/issn.2504-0456, e-ISSN: 2504-107X (Online), e-journal, ISSN: 2504-0456 (Print), Karger on March 2, 2017 by eresources. We have upgraded our SocIndex with Fulltext subscription to Sociology Source Ultimate. Sociology Source Ultimate features more than 2.1 million records with subject headings from a 20,000+ term sociological thesaurus designed by subject experts and expert lexicographers. Sociology Source Ultimate contains full text for more than 1000 journals dating back to 1908. This database also includes full text for more than 1000 books and monographs, and full text for over 40,000 conference papers. Sociology Source Ultimate features more than 26,000 author profiles covering the most cited and most influential authors in the database, who are experts in their field. Coverage of topics ranges from gender identity, marriage and family, to demographics, political sociology, religion and socio-cultural anthropology. This entry was posted in New e-resources, Updates and tagged conference papers, database, Deviant behavior, Discrimination, e-books, e-journals, Ebsco, Economic development, Family relationships, Gender identity, Migration, Population growth, Poverty and wealth, Religious faith, Social movements, Sociology Source Ultimate on March 1, 2017 by eresources.